Belfast and Dublin may only be separated by around 100 miles, but Ireland’s two main cities lie at the heart of very different commercial property markets. True, the population of the Republic of Ireland is bigger that Northern Ireland, but only by around two-and-a-half times. Yet, investment south of the border is counted in the billions, but in the north, millions. So, what is making the difference? One reason may be the speed at which the market in the Republic responded to the requirements of global tech firms. For example, Google entered the Irish market in 2003 taking 5,000 sq ft of space but now occupies 1 million sq ft of accommodation, almost 2.6 per cent of all modern office stock across Dublin. Similarly, Facebook made its Irish debut in 2009 with two leases in Hanover Reach, and now takes up 1.7 per cent of the city centre office space. The question is – what attracted these global behemoths to Dublin in the first place? There are many possible answers. It could have been the availability of educated workers, the widely English-speaking population or the accessibility to office space. However, Northern Ireland also has access to global markets and a high number of graduates while also availing of office space at a lower cost-base to that available in the Republic. A mediating factor may be the sheer difference in corporation tax. The Northern Ireland Executive had committed to reducing the levy to 12.5% by April 2018, in order to match the rate set in the Republic. That had always been reliant on the Executive demonstrating its finances were on a firm footing, but the proposal has now stalled altogether with no government in place to implement it. It means, the likelihood of Northern Ireland’s corporation tax rate lowering any time soon – aside from the UK-wide reduction to 18 per cent from 2020 – seems spectacularly low. The Republic has also experienced a major shift in the type of office accommodation offered. In Dublin, the supply of co-working space has grown by 93 per cent within the past 18 months but whether this is a fad, or a permanent structural change remains to be seen. Are we going to see similar growth in Co-Working Office Space in Northern Ireland? We expect so with similar schemes planned for various buildings, namely River House, Adelaide Exchange and Centre House. Ultimately, the key for Northern Ireland is to find new ways to encourage tech companies to locate here, no matter how small their operation is, as they have the opportunity to grow exponentially. There is no doubt we have the skills, so greater emphasis must be placed on how we can take inspiration from the more developed sector in the Republic to take the local market to the next stage. 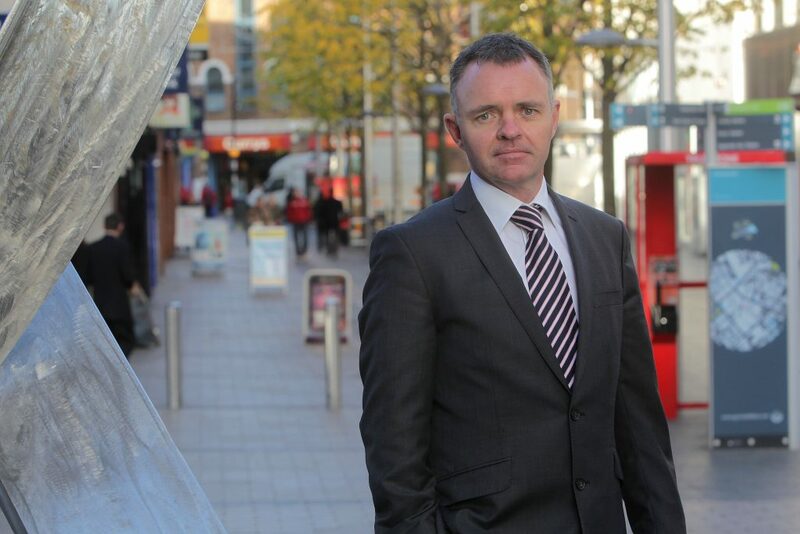 Declan Flynn is Managing Director of Belfast-based commercial property agency Lisney, which works on behalf of many of Northern Ireland’s most significant investors and developers as well as major retailers and businesses.